The hits just keep on coming! Even more of the greatest Marvel Minimates ever made have been assembled in this second Greatest Hits assortment! 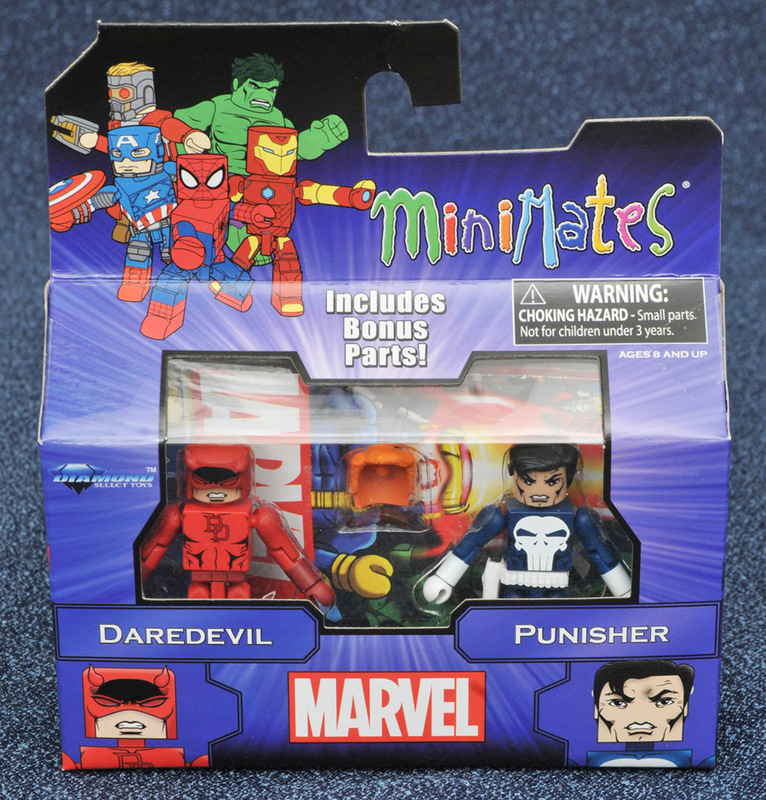 Series 2 features four completely different two-packs: Daredevil vs. Punisher, Captain America vs. Deadpool, Hawkeye with Ant Man and Power Man with Iron Fist! Each Minimates mini-figure stands 2" tall with 14 points of articulation, and features fully interchangeable parts. Most figures feature an alternate hair piece, for an unmasked look, plus Ant-Man has a lab coat and Power Man fully transforms into Luke Cage! Each two-pack comes packaged in a full-color window box.